Private Quarry w/ Ocean Views! Complimentary Kayaks Too! Nice location, walkable to downtown. Staff were nice and friendly. Perfect location, walking distance to water, restaurants and shops. Where to find Rockland hotels near an airport? 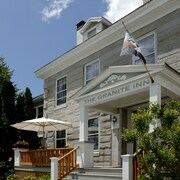 Where can I find hotels in Rockland that are near tourist attractions? 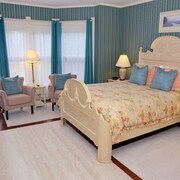 If you are on the lookout for the best lodgings in Rockland, you'll find yourself spoiled for choice. Expedia's extensive and up-to-date database lists 21 accommodations within a 0.1-kilometre (0.06-mile) distance of the center of Rockland. Rockland's downtown area is a short stroll from accommodation including Winding Way Bed and Breakfast and Art Gallery and The Lindsey Hotel. The Camden Harbour Inn is situated 11 kilometres (7 miles) from the main part of Rockland. Or, alternatively, the Camden Windward Inn is 11 kilometres (7 miles) away. 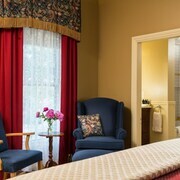 Another option is to book a room at the Hawthorn Inn or the Hampton Inn & Suites Rockland. Once you have learned about Rockland, why not travel a bit more of the region? The Central Coast area has a number of things to offer visitors. Check out Central Coast's art galleries and lighthouses. Those who appreciate wide open spaces can also take the time to check out the region's coastal plains. In this section of United States of America travelers can also try their hand at cycling, shore fishing and swimming. Belfast is 35 kilometres (22 miles) to the north of Rockland and is where you'll find Belfast City Park and Belfast Historical Society and Museum. The The Jeweled Turret Inn and Fireside Inn & Suites - Belfast are some of the Expedia-listed accommodation alternatives in Belfast. 45 kilometres (27 miles) to the north of Rockland, you can also stay at Searsport, home to the Baits Motel and Homeport Historic Inn. The Penobscot Marine Museum and Moose Point State Park are just a couple of the more popular places to explore should you visit Searsport. If enjoying sport is what you love, head to Mansfield Sports Complex, which is 80 kilometres (50 miles) to the north of Rockland. For visitors who are keen on booking a room close by, make a reservation in the Courtyard by Marriott Bangor or Four Points by Sheraton Bangor Airport. Located 8 kilometres (5 miles) away from Rockland is Knox County Regional Airport. Stay nearby at Trade Winds Inn or LimeRock Inn. 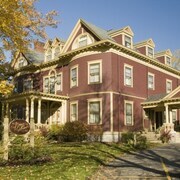 What are the most popular Rockland hotels? 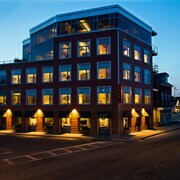 Visit Rockland Maine, Windjammer and Arts Capital of Midcoast Maine! 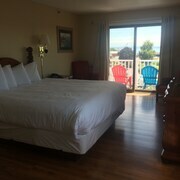 Are there hotels in other cities near Rockland? 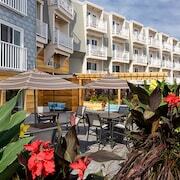 What other types of accommodations are available in Rockland? Explore Rockland with Expedia.ca’s Travel Guides to find the best flights, cars, holiday packages and more!